iPic Entertainment Inc. announces a new Access Membership Rewards™ program offering with exciting new benefits. From now until March 1st for just $29 a year, iPic® Access Gold members can achieve maximum savings with every visit to iPic’s luxury theater and restaurant destinations. Benefits include 10% off all food and beverage* purchases at theaters and iPic-owned restaurant brands – Tanzy, City Perch Kitchen + Bar, The Tuck Room and The Tuck Room Tavern – and up to 40% off ticket prices and one free birthday gift ticket, a $25 value. On March 1st the annual membership rate will be increased to $45. Access Gold members will also receive priority ticket access to new film releases and will earn points with each dollar spent within the iPic® luxury circuit. “We love our iPic members and guest frequency has always been at the heart of why we at iPic consistently work to elevate and differentiate our guest experience and reward their loyalty. Some of our most devoted members visit our theaters over 50 times a year. These members have been instrumental in helping to drive the development of our exciting new membership program and benefits. We also recognized that iPic Theaters fans frequent the iPic restaurants just as often – so why not provide a unified membership program that includes benefits at both the theaters and our restaurants? These expanded perks are our way of rewarding guest loyalty,” says Hamid Hashemi, Founder and CEO of iPic Entertainment. The new Access Membership Rewards™ program presents four membership levels: Access Silver which is complimentary with sign-up, Access Gold priced at $29 annually, and two earned levels: Access Platinum, and Access Platinum Elite. Full benefit details can be viewed at www.iPic.com/Access. As part of the circuit-wide launch, non-members and current iPic® Access Silver members may sign up for Access Gold membership perks at no additional cost until March 1, 2019. Access Gold member benefits also include the ability to earn and redeem points on qualifying purchases at iPic Theaters and iPic-owned restaurant brands nationwide; invitations to advance screenings of new release films and exclusive iPic events such as special screenings, dining and experiences at no added charge; holiday discounts for restaurant promotions; live shows and an increased bonus card value when purchasing gift cards. Tuck Hospitality Group, iPic Entertainment’s restaurant division now participating in iPic’s new Access membership program, currently operates the following award-winning restaurants and bars: City Perch Kitchen + Bar, a seasonal American dining destination with locations in Bethesda, Md. 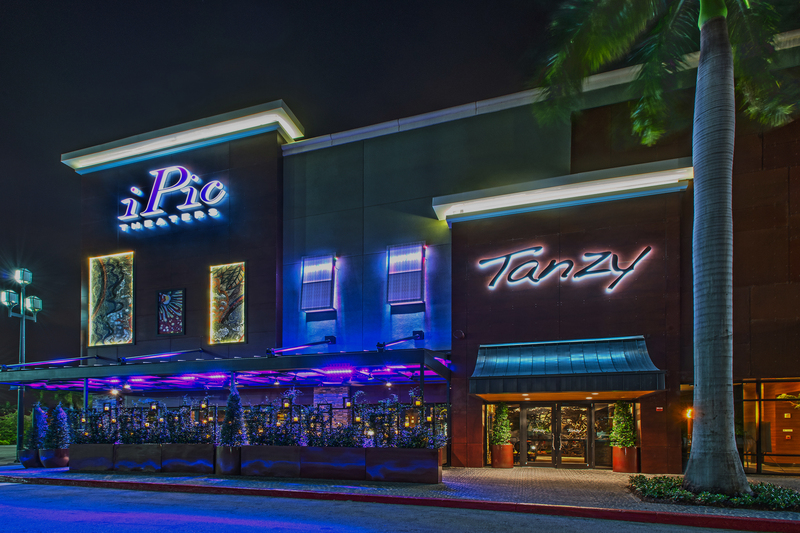 ; Fort Lee, NJ and Westchester, NY; Tanzy Restaurant, a modern Italian dining escape with locations in Boca Raton, Fla. and Scottsdale, Ariz.; The Tuck Room, a spirited drinking and dining den with locations in Houston, Texas; Miami, Fla.; and New York City; and The Tuck Room Tavern, serving Craveable American Cuisine in Los Angeles, Calif.
To become an iPic Access member, visit iPic.com/Access or download the iPic app available in the Apple app store and Android marketplace.